Contemporary Ayurveda —especially since the advent of the Indian Republic in 1948— has been artificially divorced from its deep spiritual roots. While this is less the case with Tibetan healing, there has been a contraction and reduction of both the understanding and the scope of practice of Indo-Tibetan Ayurveda, to the point where most individuals think of this Sacred Science at best as an alternative pharmacopeia, or a ‘complementary’ approach to be applied when faced with less serious health concerns. 1. It is consonant with the totality of Dharma. 2. It assists in and supports the attainment of the ultimate goal of life, enlightenment. 3. It is transmitted in disciplic succession within a legitimate lineage. 4. It is principled, relevant, coherent, and practical. 5. It is simple, available, and affordable. 6. It is universally valid and adaptable to time, place, and circumstance. 7. It is impartial to all species (does not sacrifice others for the ‘benefit’ of humans). 8. It meets life necessities, in health as in disease. Ayurveda is not “complementary”. Those who have made a serious and honest study of Ayurveda know that its principles do not ‘complement’ allopathic Western medicine, but rather contradict and refute it conclusively. Ayurveda is a Dharma-based health system, deriving its practices from fundamental principles, while allopathic western medicine is proud to call itself empirical, always eager to adopt the latest ‘new and improved’ therapeutic modality. Ayurveda regards the patient as a sentient being within the context of family, community, and country, while allopathic medicine reduces the patient to a set of systems, organs, cells, and secretions that interact with each other according to physio-chemical laws. Ayurveda eschews all clinical protocols and pays strict attention to desa-kala-patra (specificity of place, time, and circumstance), while allopathic medicine is bent on developing generalizations and standardized protocols for treating the most disparate patients. Finally, Ayurveda is not “alternative” —a term that implies option, choice, or selection. Earnest scientific endeavor is incompatible with such a cavalier attitude toward health and healing. One who adopts various incompatible modalities of health care demonstrates by doing so that he or she does not understand, or has not made the effort to understand, the principles that inform such disparate modalities, nor the inherent dangers of eclecticism. In crossing a river, there may be various boats that can take one safely to the other bank. However, one can neither travel with the right foot in one boat and the left in another, nor can one jump from boat to boat in midstream, and expect to make it safely across. 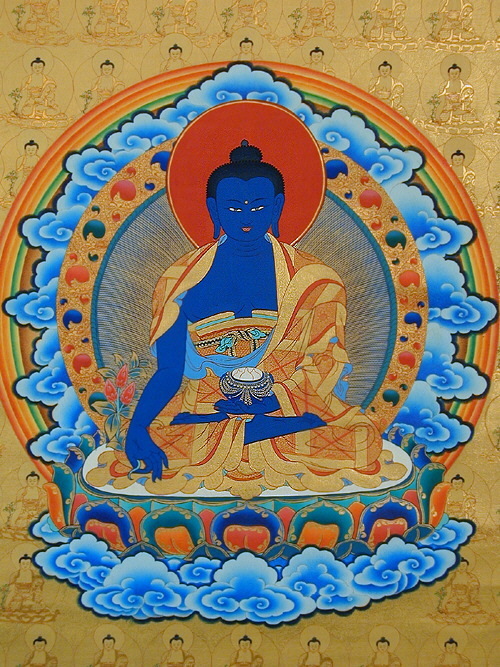 Ayurveda is a system of health care, not a modality to be offered conjointly with other therapies (conventional or ‘holistic’) arising out of mutually exclusive and incompatible philosophies, especially if these lead us to abandon bodhichitta, the Mind of Awakening that desires that all sentient beings be established in ultimate enlightenment. It is true that one cannot completely avoid harming sentient beings while dwelling in this realm of existence. What we can do, however, is strive to minimize harm to ourselves and others. We have been given a noble approach to healing that is effective and respectful of all sentient beings. Should we not pursue it? Honestly, I do not understand. I have seen the name “Ayurveda” (mostly in association with this blog, I think) but am used to thinking of medicine (Western or Chinese) as being complementary, but that could be a misapprehension on my part, and perhaps Indo-Tibetan Ayurveda is in an entirely different category. Where I live both Western and Chinese health care is offered by the National Health Insurance system and I visit doctors from both traditions. I think I may have survived childhood without the care I have received from western medicine in my lifetime, and I am sure my sister and my wife would not. Why is Ayurveda exclusive? Ayurveda is not exclusive in the sense of being a defined set of healing practices –those always are conditioned by time, place, and circumstance. Ayurveda is exclusive in terms of healing principles. The edifice of modern western medicine is based on a militaristic, interventionist, and ultimately self-defeating perspective, because it fails to recognize that disease is not an ‘enemy’, but rather an effort of prana (vital force) to either return the organism to harmony, or –if unable to do so– adapt to existing conditions. This does not mean that all of modern practice is misguided or ineffectual, although much is. And i for one never discourage anyone from utilizing the healthcare of his or her choice, regardless of my perspective. We all make choices from what we know to be available to us, and i honor those choices. Thank you for the response. I think I understand. Probably I should do some reading before I ask you any further questions. I accept that I have been well conditioned to trust medicine (regardless of system or tradition), but in much the same way we give credence to so many aspects of our lives over which we have little control and little or no expertise.